Your wedding invitation is the first glimpse your guests have into what your wedding will be like. 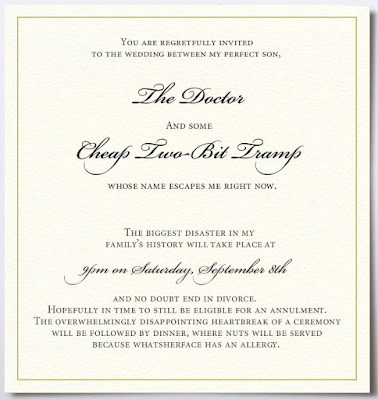 With that said choosing the right invitation is very important. 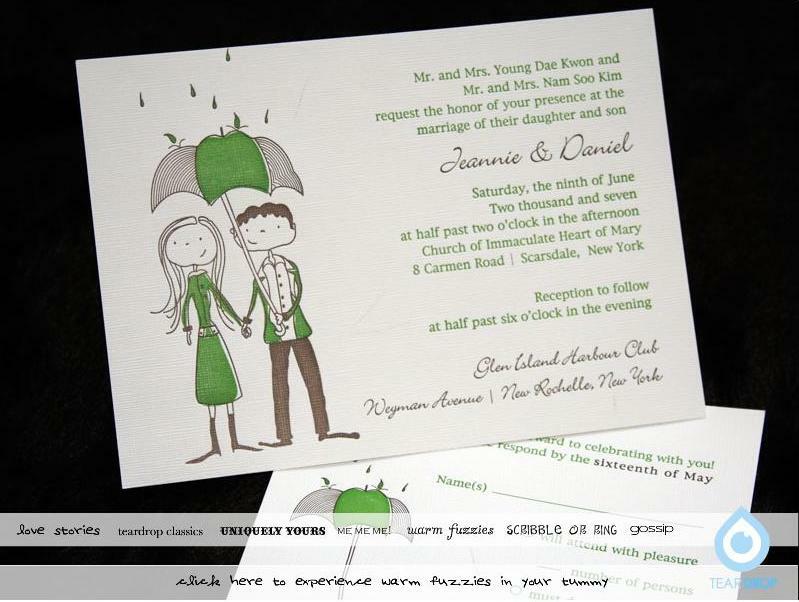 If your wedding is a certain theme your invitation should reflect that. 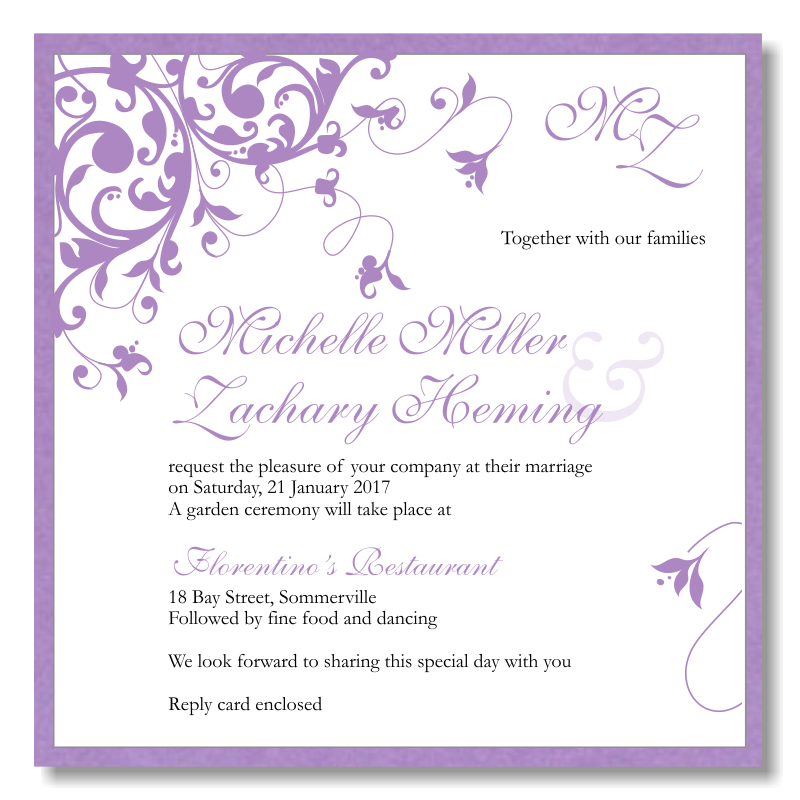 If you are planning a very traditional or formal wedding your invitations should reflect this. You would not want to use bold colors, but you would stick to something more traditional and elegant. When you are choosing the invitations it is also essential for you to remember that many of your guests will keep the invitation as a physical keepsake of you special day, so choose wisely. 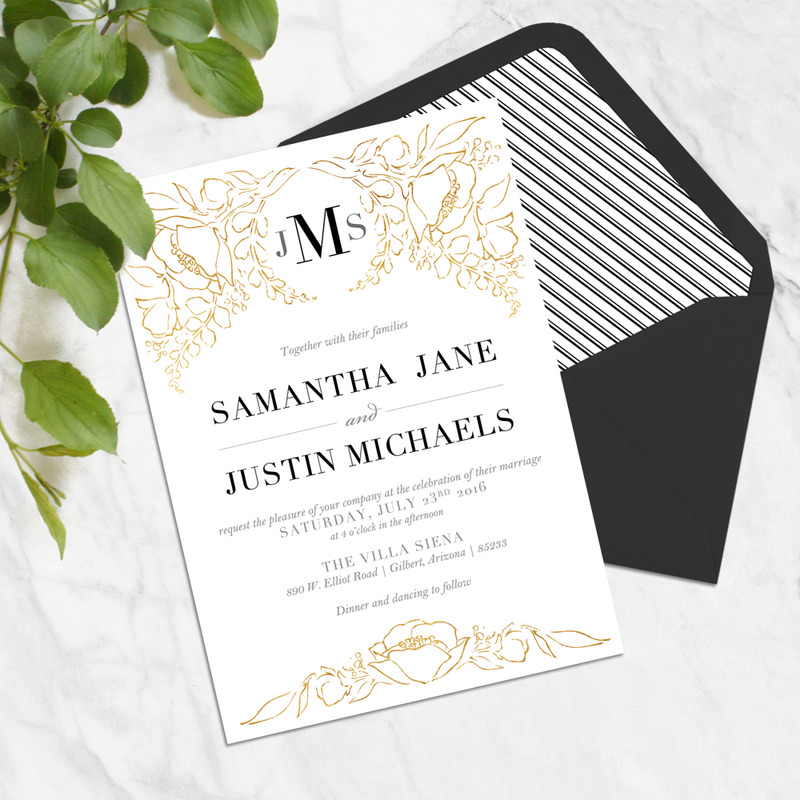 Now that you understand how to incorporate wedding colors and themes into the invitations, it is time to think about your wedding budget. Every wedding needs a budget as items add up rather quickly. If you do not already know how much money you have to spend on the stationery, now is the time to figure that out. Wedding invitations can become rather expensive. It is not the invitations that cost you so much, it is that there are many parts of a wedding invitation and each usually has a separate price. 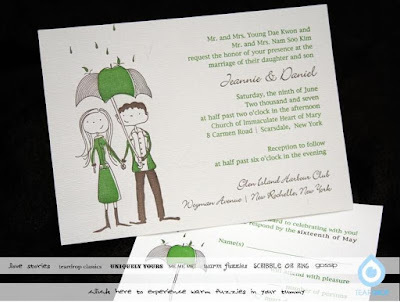 The basics include the invitation, the response card, the reception card and the thank you notes. 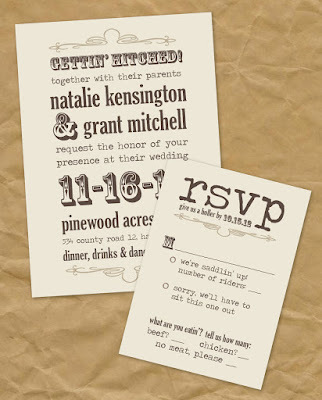 You might also add direction cards, save the date cards or magnets (for long engagement periods), and place cards. It all adds up. It is time to consider the style of your wedding invitation. 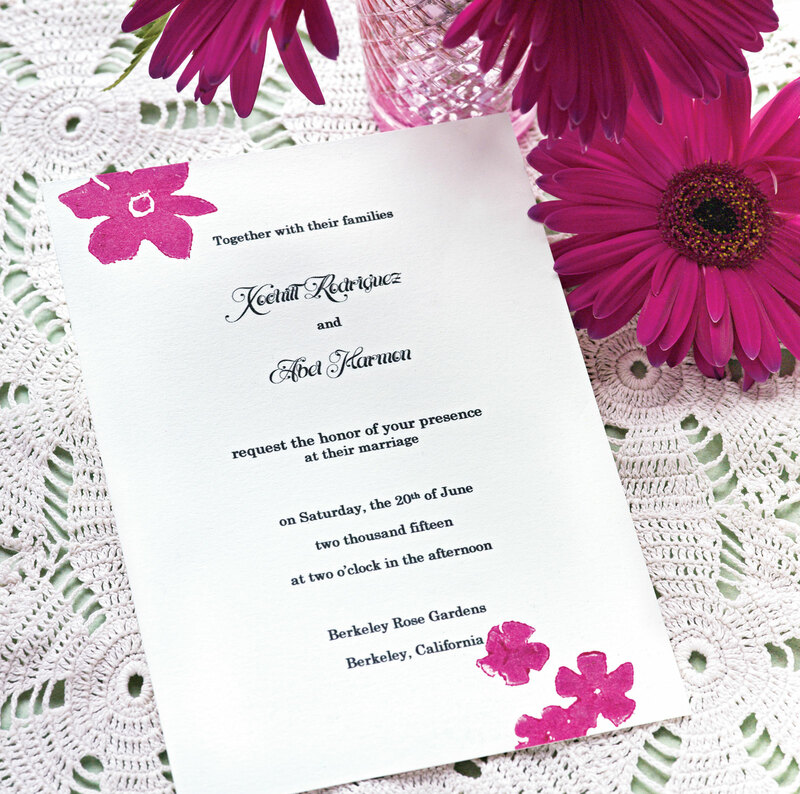 Your wedding invitation should reflect your wedding day, colors, themes and atmosphere. 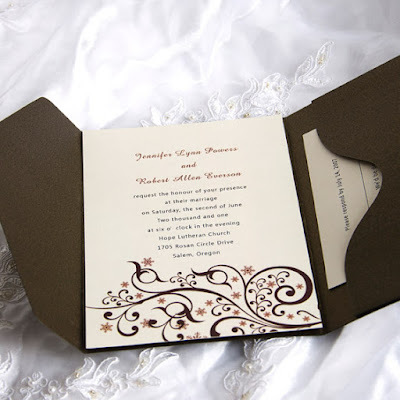 For instance you may choose to use the wedding colors or theme on your invitation. 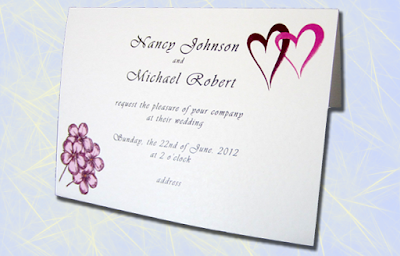 However another good idea is to choose an invitation that matches the atmosphere or feeling of the wedding. 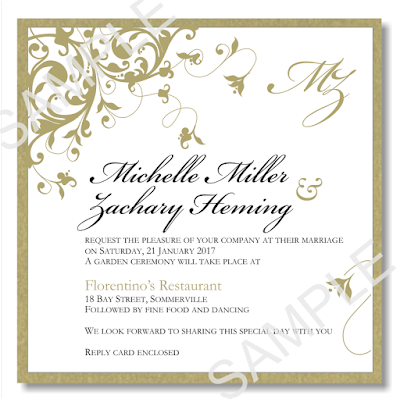 You do not want a modern invitation for an elegant wedding or a formal invitation for a casual affair. 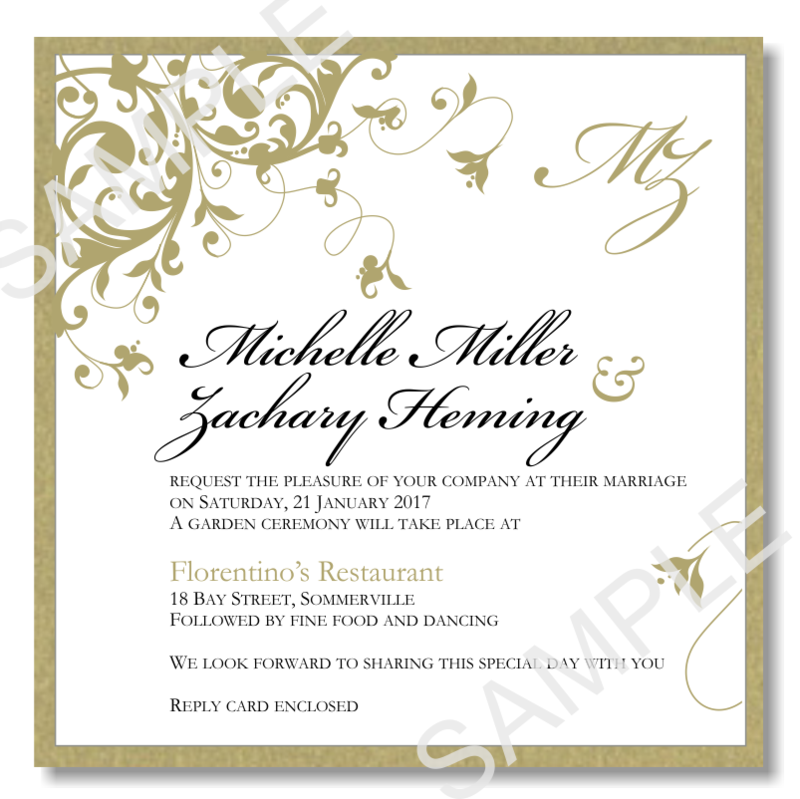 You should first address if your wedding would either be considered modern or traditional. 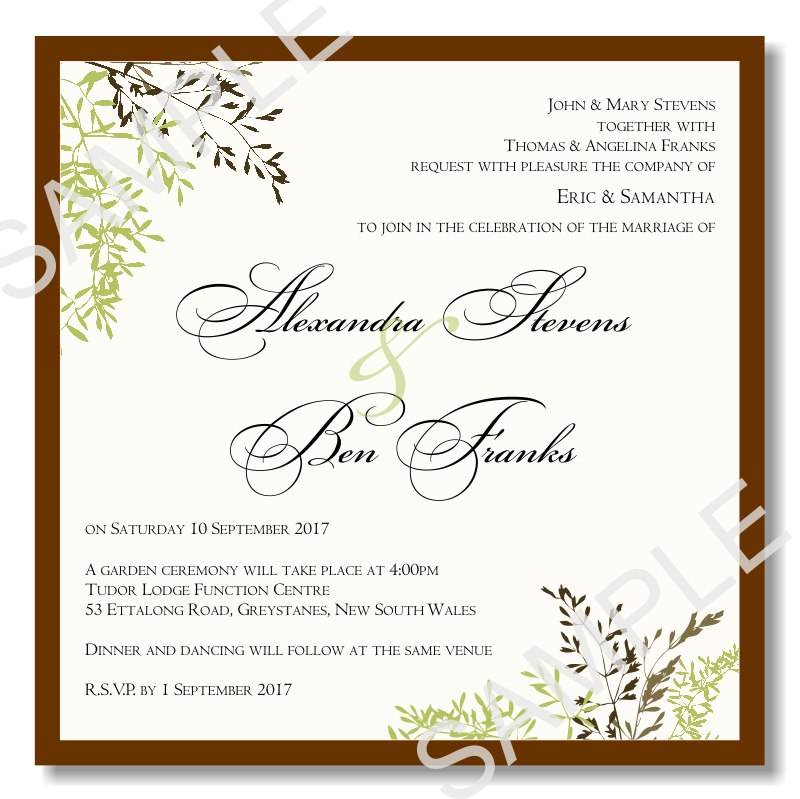 If your wedding falls into either category you may want to consider wedding invitations to match that feeling. Brides who choose to have a formal or traditional wedding should use traditional wedding invitations. 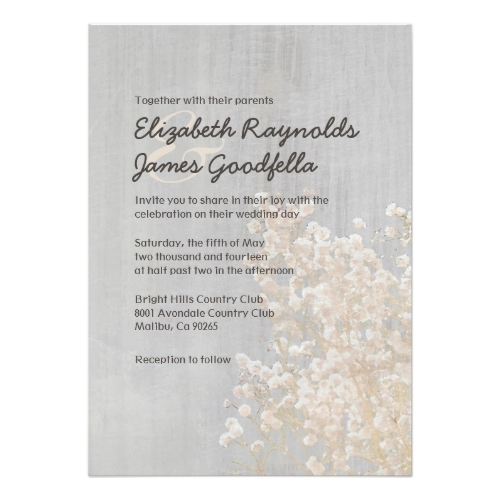 The invitations would have black print on white or light colored paper. 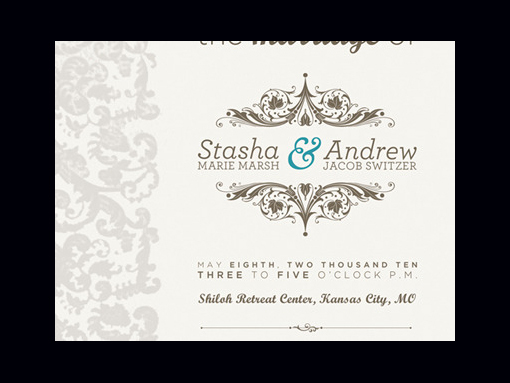 On the other hand if you think you a planning a more modern wedding the invitation colors are pretty much endless. 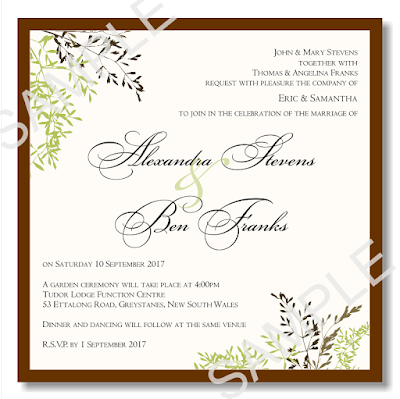 It is not unheard of these days to have wedding invitations which are green, red or even black. 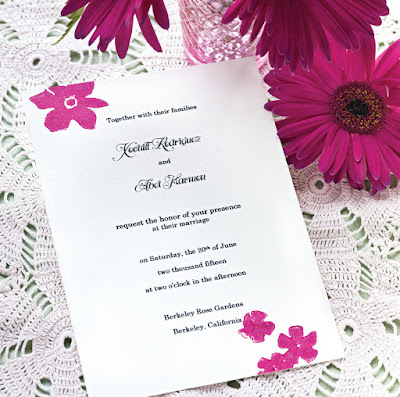 Modern wedding invitations may use graphics and pictures, even though it is not necessary. Now that you are ready to buy something it is time to figure out where you will be shopping. Well the first place most people want to try is something nearby. There is a lot to be said for going into a print shop, talking to the employees and designers and seeing a design book. 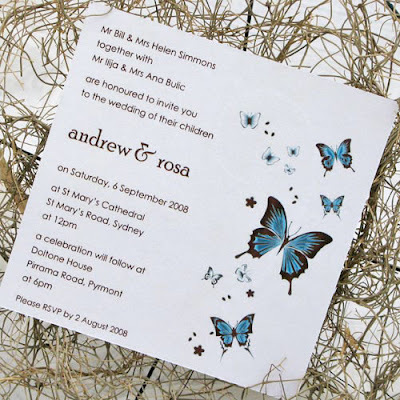 If you choose not to use them or do not have any suitable suppliers in your area there is always mail order and internet stationery stores that you can use. Mail order and internet suppliers usually have a vivid catalog to choose from with pictures of each style available. 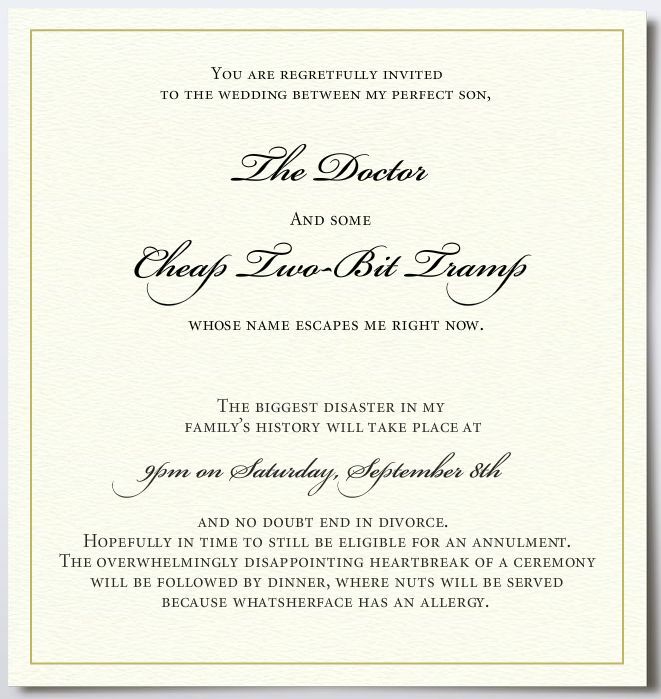 Many will give you suggestions on word choices, when to send the invitations and other etiquette matters. Choose the correct supplier by finding the right invitation for you at a cost that you can live with.